Missouri’s lakes and rivers offer a tremendous opportunity for recreation and leisure. Our St. Joseph boat accident lawyers understand that Missouri offers endless opportunities for boating and water play. Accidents are preventable by taking proper safety precautions and respecting other boaters. Most injuries and fatalities from boating accidents are the result of negligence. As with auto accidents, impairment with alcohol is a leading cause of Missouri boating accidents. In addition, some boating accidents are caused by defective equipment and liability can be attributed to the manufacturer or designer of the boat. If you are in a boating accident, your first priority should be to get the medical attention you need. You are required to notify the Missouri Highway Patrol immediately, and when a person has been injured or killed, a report must be filed within 48 hours of the incident. The operator or owner of the boat should usually fill out the report form, but if neither has filed a report, any other person involved in the accident should assume that responsibility. Once you have been to the emergency room or have been examined by your personal physician, you should consult a respected Missouri boating accident attorney with many years of personal injury and boating accident experience. The boat owner or operator’s insurance company will probably contact you and request a recorded statement and medical authorizations. You should not provide either but should refer the insurance adjuster to your boating accident attorney. Although there is no law against attempting to settle your claim without an attorney, doing so is nearly always a mistake. Accident victims without competent legal representation usually only recover a fraction of the amount a good personal injury attorney can bring in. By calling the St. Joseph, Mo., law firm of Murphy, Taylor, Siemens & Elliott P.C., you can have a highly experienced personal injury attorney with a long history of recovering compensation awards in boating accidents review your case and advise you on the best way to proceed. Our partners have been in practice together for 30 years. 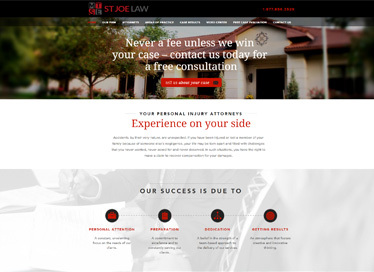 We have 100 years of combined legal experience and a reputation for obtaining full and fair compensation for thousands of clients who have been injured or have lost a loved one in boating and other accidents caused by another person’s negligence. The consultation is entirely free of charge, and because we accept cases on a contingency fee arrangement, you never pay us unless we recover money for you. Although the law does not allow us to promise specific results and every case is different, we can tell you that we have an enviable record of success extending over many years. Missouri law imposes limits on the amount of time you have in which to file a lawsuit in a boating accident or other injury claim, so it is important to bring us on board as soon after the accident as possible to give us time to conduct our investigation and bring in experts, such as engineers and accident reconstructionists, to help us prove your case. Call us today.